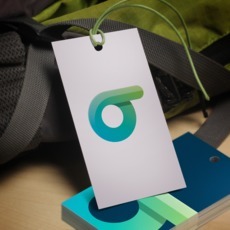 When opting for an online printing company such as UPrinting.com to do your hang tag jobs, by purchasing even just one recycled hang tag from them has made you help the environment by supporting their eco-friendly materials. If you wish to have eco-friendly hang tags produced at UPrinting.com, you can be assured that a 13 pt. uncoated cover stock is made of 30% recycled material. For a recycled hang tag printed in 100 lb. gloss cover and 100 lb. gloss text cover stocks, these tags are 10% recycle-produced as well. Apart from purchasing a recycled hang tag, another practice on recycling at UPrinting.com is that all paper scraps, printing plates, and ink waste are reused within the company. This sort of practice helps in further supporting their environmental cause by eliminating inappropriate waste that can also do harm in the cleanliness of the environment. With custom hang tag printing jobs on at UPrinting.com, you get environmentally friendly materials without lessening the quality of your prints; and caring to support means that you have somehow increased awareness to others by providing referrals and by having additional printing requests in the future.